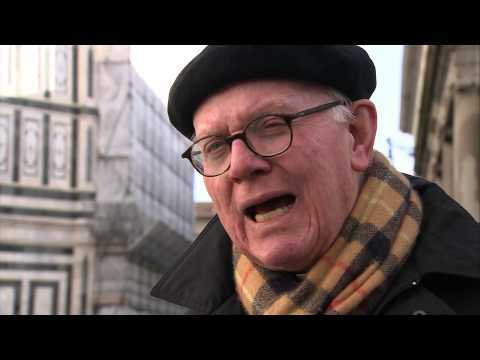 Pope Benedict declared 2012 and 2013 the year of faith and to celebrate the Florence diocese has organized a series of walking itineraries exploring faith and art in Florence that are interesting enough for both Christians and non Christian alikes. Four major itineraries have been organized throughout the historic center of Florence allowing pilgrims to explore the most import places of art throughout the city. The director of the Museo del OPA, Monsignor Timothy Verdon, told us more about them. There is a special kit that can be picked up for free from the OPA-Centro Arte e Cultura, in piazza San Giovanni 7. The kit contains the pilgrim’s card it grants reduced entrance fees to museums and the itineraries as well as other free stuff and discounts. The kit also contains maps and short easy to follow descriptions on each itinerary in Italian. If your looking for something more high-tech however then wait for the video guide and the apps of them that will soon be released. The itineraries culminate inside the Duomo at a special altar faith depicting Florence’s major saints made in Giotto’s workshop.